ProRat is a Microsoft Windows based virus named trojan horse, commonly known as a RAT (Remote Administration Tool). ProRat usually opens a port on the computer which allows the client to perform many different operations and destruction on the server. As I have posted different articles upon Networks and Windows. So, today I am going to make an article on ProRats. Before Starting the steps i would like to show you some of the best features of ProRat. You can download this program from HERE. You can hack your friends or victims facebook accounts, paypal, yahoo, hotmail. It kinda keylogger which records all the happening of a targeted computer. But remember use it with your own risk. How To Use ProRat ? 1) First Download CLICK HERE and Install the Program,after that extract it on your drive..
2) Launch it, and enter the password which is "pro". 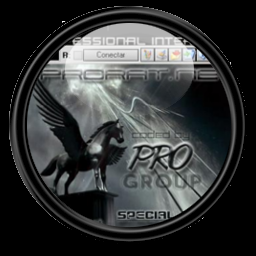 3) Now you have to create the trojan file, click on create with ProRat Server. 4) In this step you have to put your ip address in DNS ip box, if you dont know just click the curved arrow button below test. Now enter your email so that ProRat could test and send messages. Rest of the options should remains empty or as it is. 5) Click General Settings, so here we would choose the port for server,set the password, Now as you can see it has the ability for disabling the firewall. 6) Now click on bind with file option, here you can bind the ProRat server with another file, remeber it could be only run if it is executed, so by making it with the game or a document would be better. 7) Press Server Extensions button to continue. Now you can choose what kind of server file to generate. 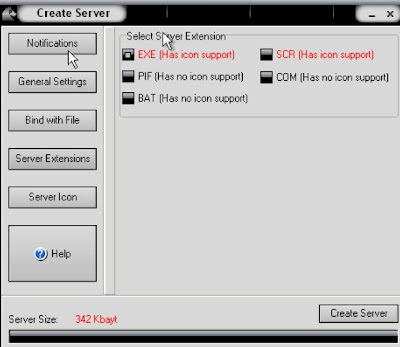 I would set with the default because it has icon support, but exe’s looks bad, it would be better to change it. 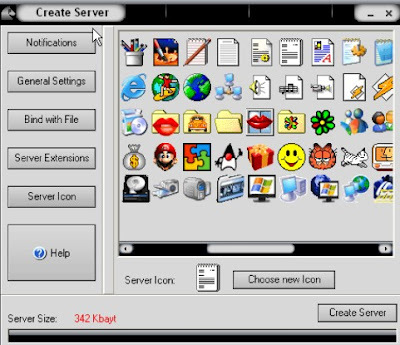 8) Click on Server Icon, now you will choose an icon for your server file. I would choose the simple text document. 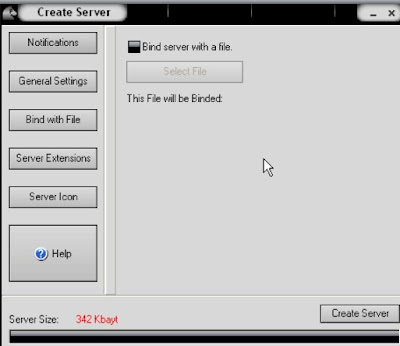 9) Now Finally create the desired server file. 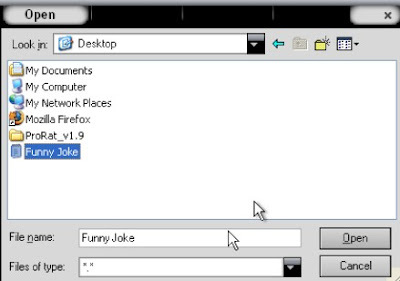 10) A hacker would name it "Funny Jokes", so that people would be more impressed. Thats It, now send this file to your friends and get logs, keystrokes with passwords.